Health-technology startup Medlife International Pvt. Ltd has received funding of $17 million (Rs 118 crore at the current exchange rate) from the family trust of its founder Tushar Kumar. Prasid Uno Family Trust pumped in the money across three tranches over the last two months, show Medlife’s filings with the Registrar of Companies. Medlife, founded in 2014 by Kumar and Prashant Singh, is a self-funded online platform for healthcare services. The duo also runs Tulip Lab Pvt. Ltd, a company which manufactures herbal and allopathic medicinal products. “The money will be infused in our personal capacity as founders and shareholders, as well from our family trust,” he had said. It’s not clear whether the latest round was part of this investment. A Medlife spokesperson declined to comment. Online publication Inc42 was the first to report the development. The company also announced the launch of its central laboratory in Bengaluru recently. The central lab is a fully automated pathology lab offering biochemistry, immunology, haematology, clinical pathology and cytology services. Medlife claims to service over 15,000 deliveries daily across 29 states in India. A number of startups in the online drug delivery segment are awaiting the final notification of the draft e-pharmacy rules, anticipated to arrive after the ongoing general election. The rules are expected to rev up growth in the sector by finally giving it legitimacy. April 2019: Gurugram-based 1mg Technologies Pvt. Ltd, which operates an eponymous online pharmacy, raised $10.32 million (Rs 65.37 crore) in fresh funding led by South Korean investment firm Redwood Global Healthcare Fund. September 2018: Bengaluru-based Metarain Software Solutions Pvt. Ltd, which runs pharmacy app Myra, raised Rs 8.75 crore ($1.2 million) in additional capital led by existing investors venture capital firm Matrix Partners and Times Internet Ltd. Tokyo-based Dream Incubator also invested. September 2018: Mumbai-based 91 Streets Media Pvt. 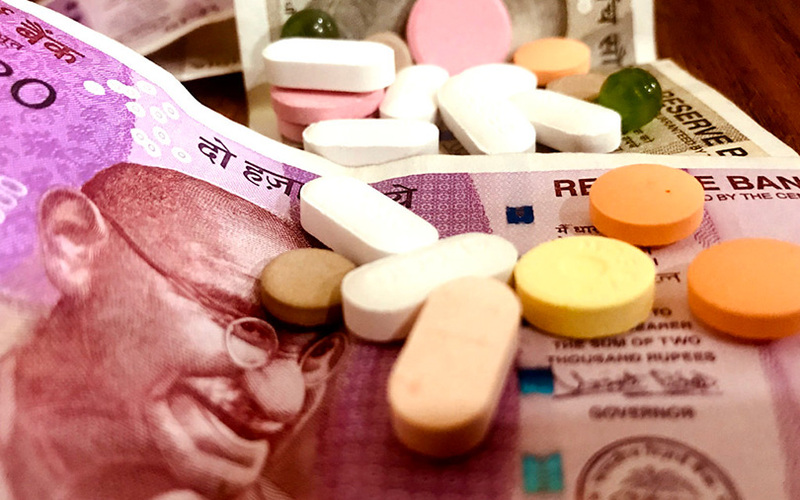 Ltd, which operates online drug delivery platform PharmEasy, raised $50 million (Rs 363 crore) in an extended Series C round led by new investor Eight Roads Ventures.